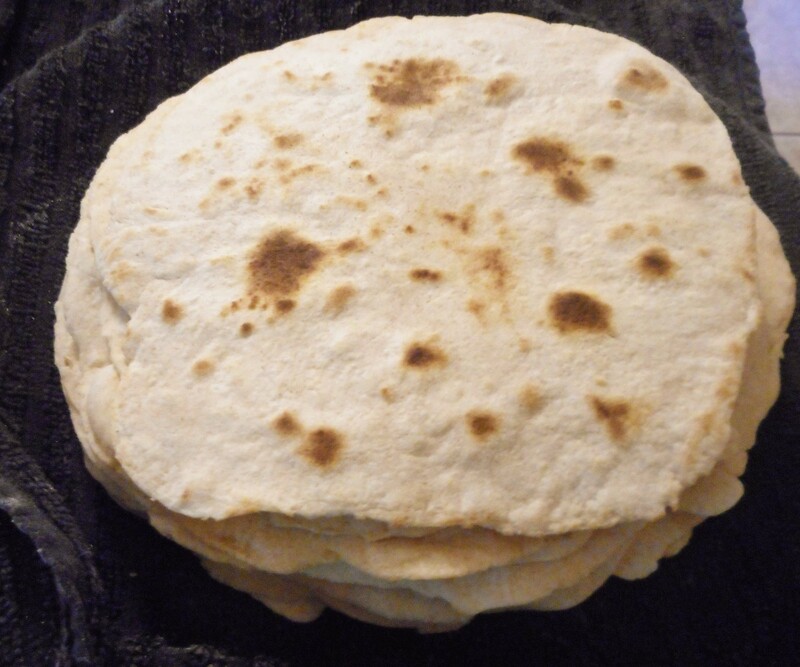 By adding healthier oils rather than the typical lard or shortening and substituting whole wheat flour for some of the white flour you can make healthier tortillas at home. Try this recipe for making healthy tortillas. This recipe makes a great tasting tortilla without the shortening or lard. 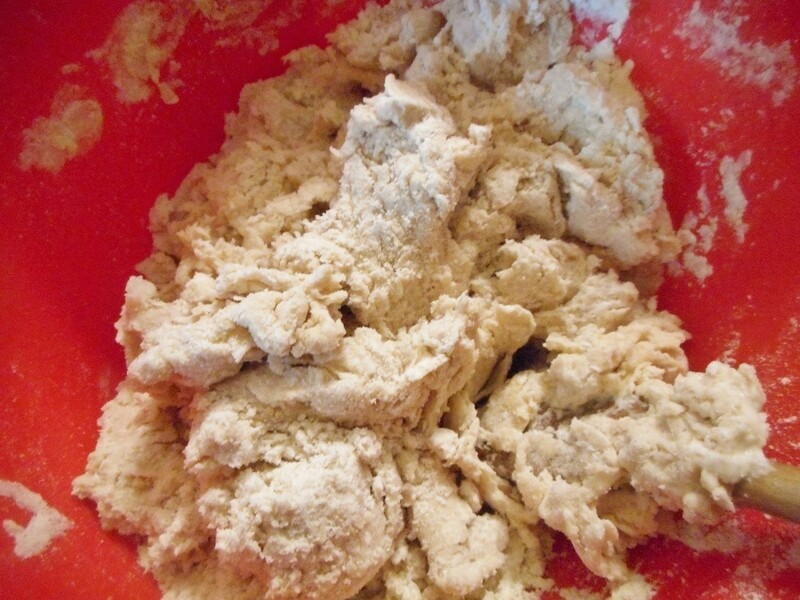 It also sneaks in a little bit of whole wheat flour for added nutrition and a richer taste. 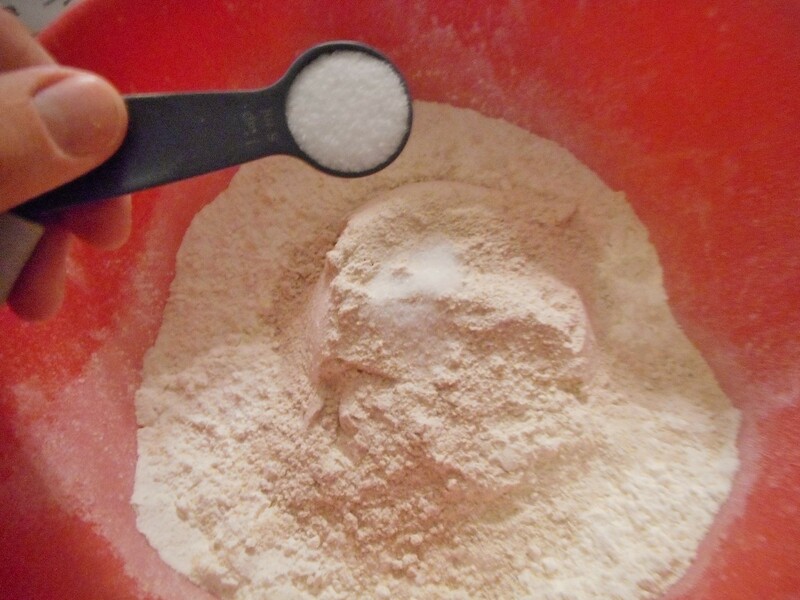 Mix the flour, salt, and baking powder in a large bowl. 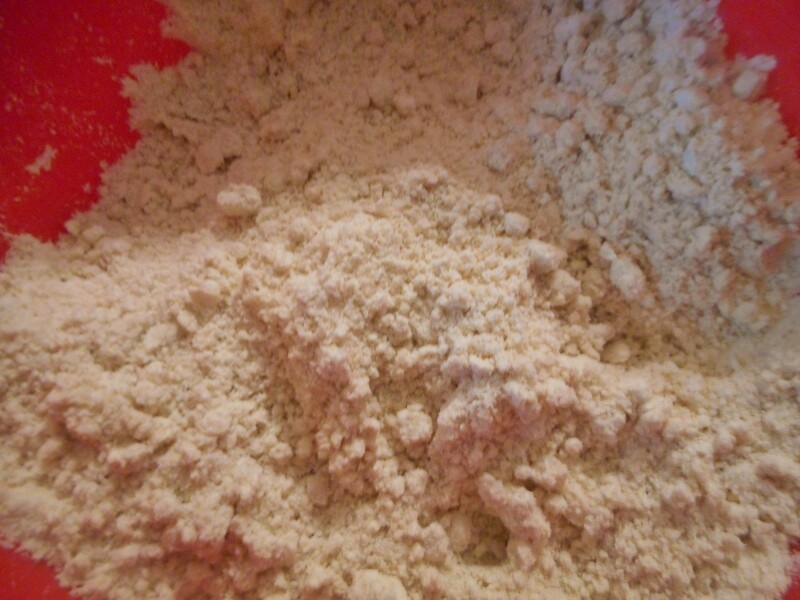 Tease in the canola oil with your fingertips, until the flour mixture resembles crumbs. 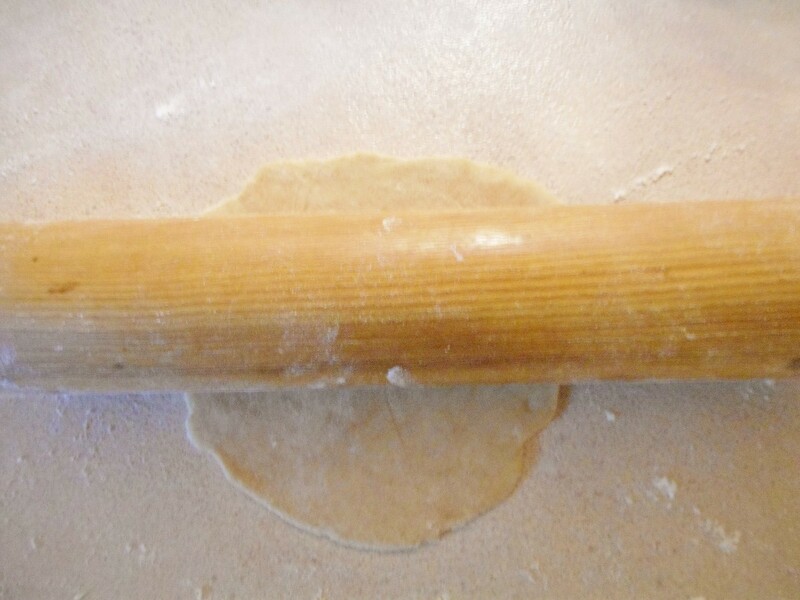 Add the water, working it in until sticky dough forms. 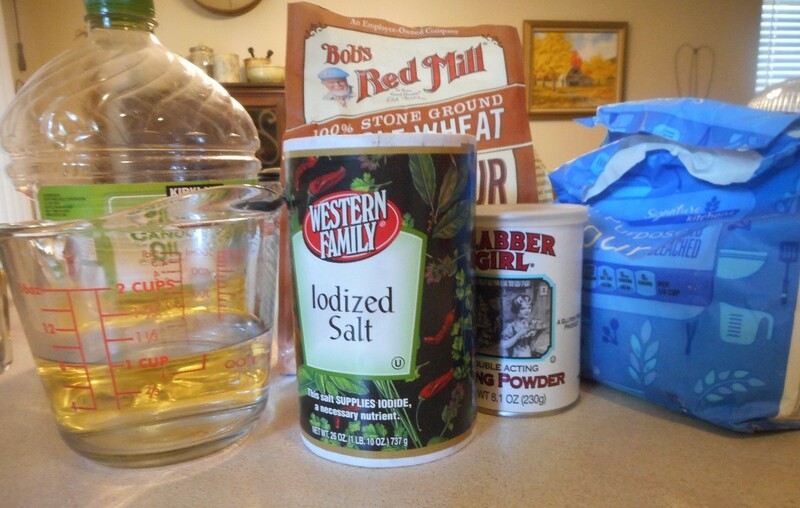 Add more water by tablespoon increments if necessary. 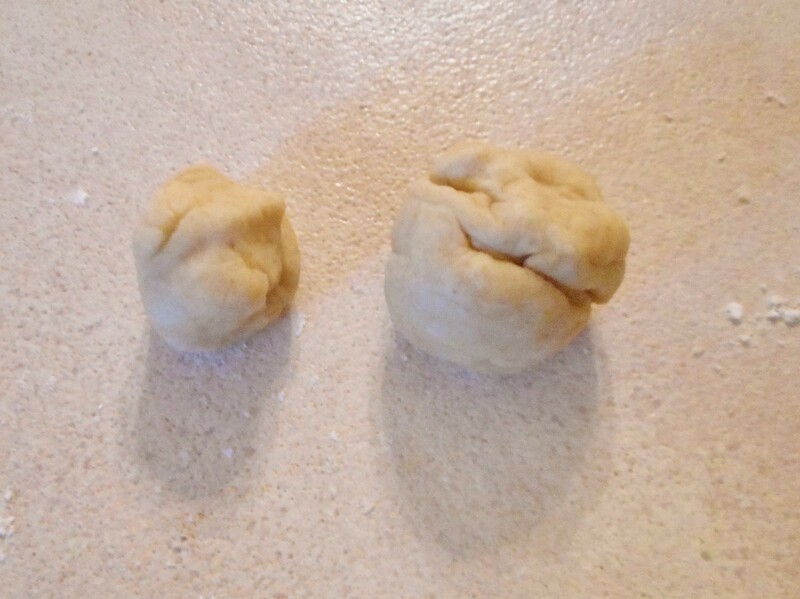 Knead together until they collect into a firm dough. 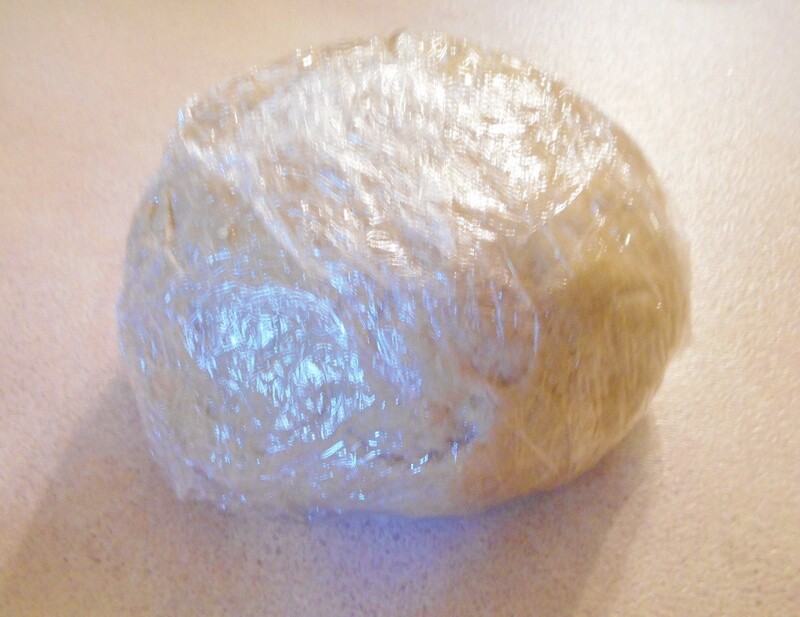 Wrap the dough in plastic and let rest at least 30 minutes to soften and set the form. 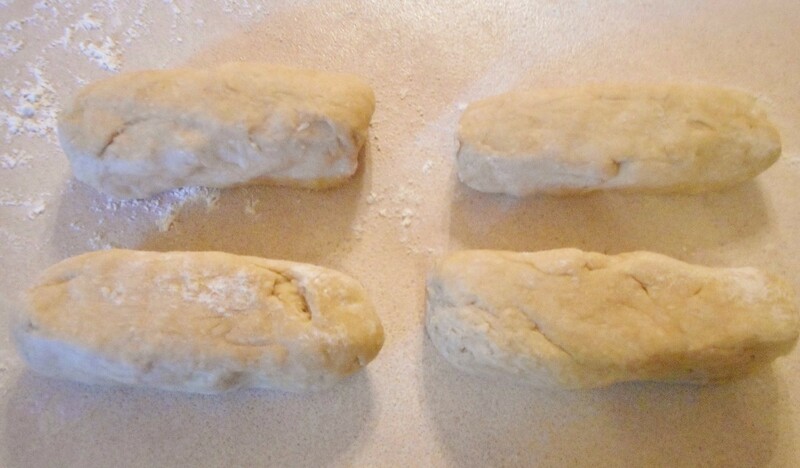 Divide the dough into quarters and form each quarter into a rough log. Next cut each log into 4 or 5 roughly equal pieces. Form each piece into a small ball and arrange in a separate corner of the counter (you need elbow room to roll them out into tortillas). 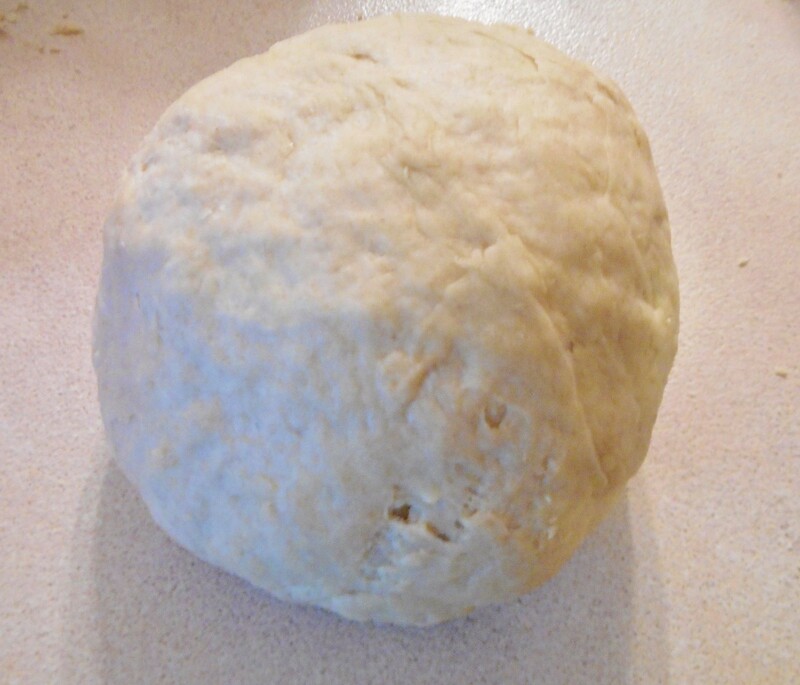 I found it was easy to tear a small chunk off of each ball to make the tortillas approximately the same size. Of course, squish the scraps together into new tortilla pieces! 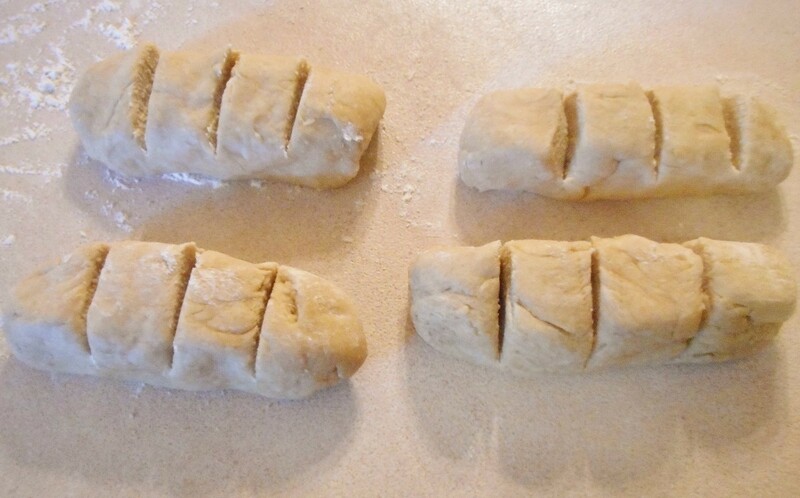 Save one or two small, uneven scraps to use as testers. 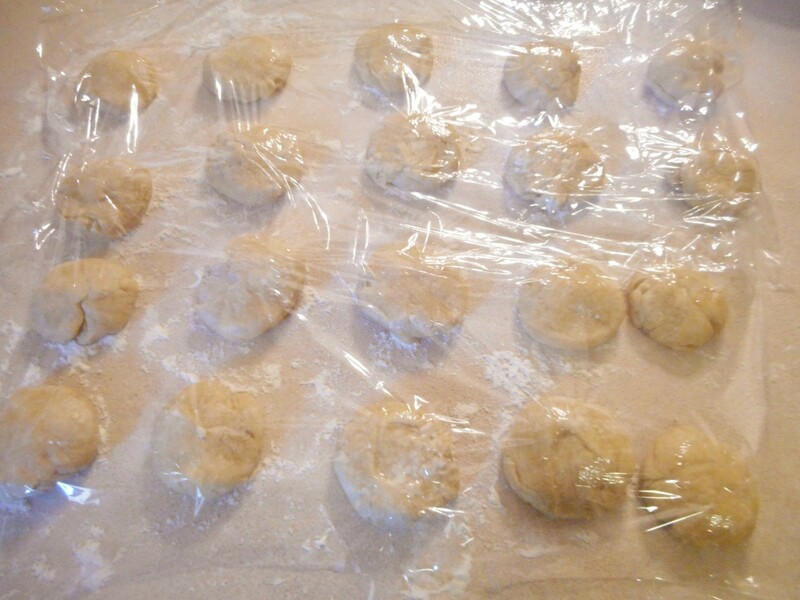 Pat the tops with a wet paper towel to lock in some moisture as they sit. Then, cover them with plastic wrap while shaping and cooking the tortillas. 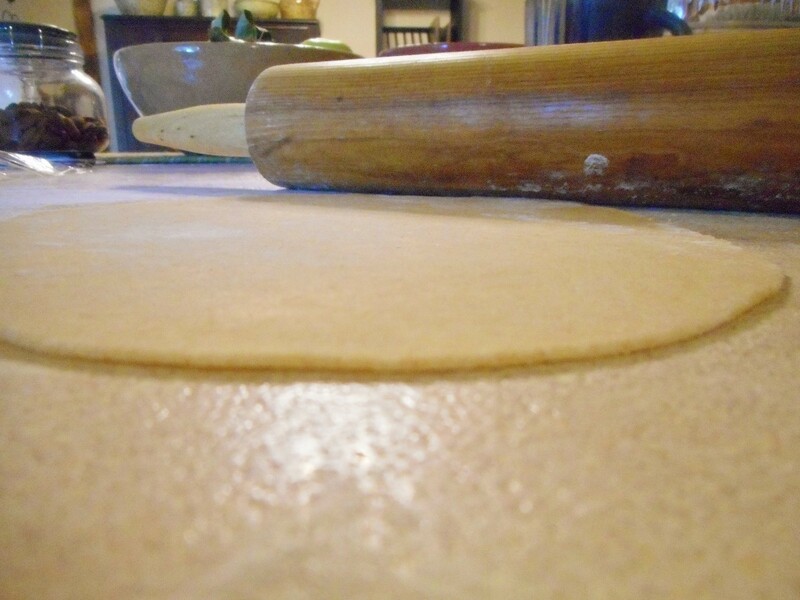 To make the tortillas uniformly round, start by flattening the dough into a small, thick circle. 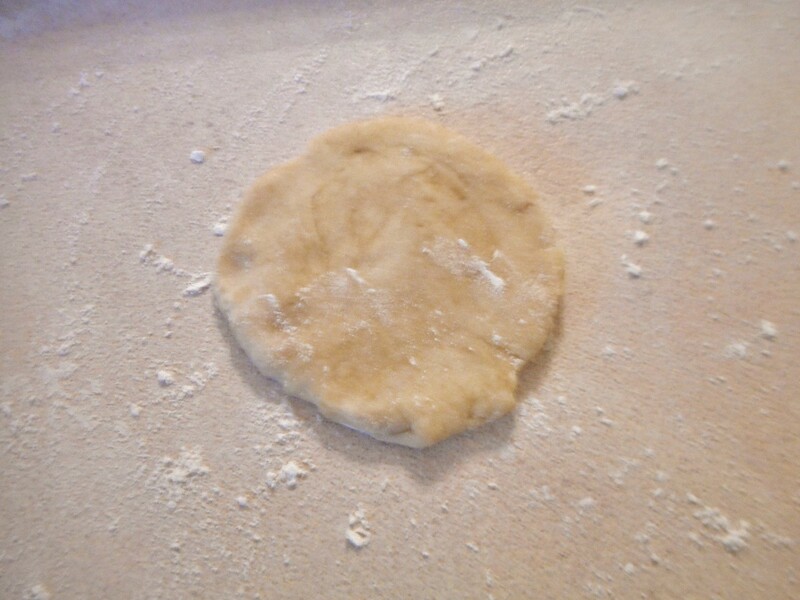 Then take a rolling pin halfway through the circle and push the dough out away from the center. 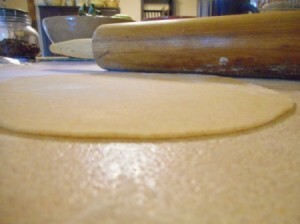 Rotate the tortilla 90 degrees and roll the dough outwards again. Repeat this process until you come full circle. Cycle through a 360 degree turn two to three more times, until the dough appears almost paper thin, about 2 mm thick uncooked. Preheat the skillet to medium heat. Roll out a tester scrap almost paper thin and place on the skillet. 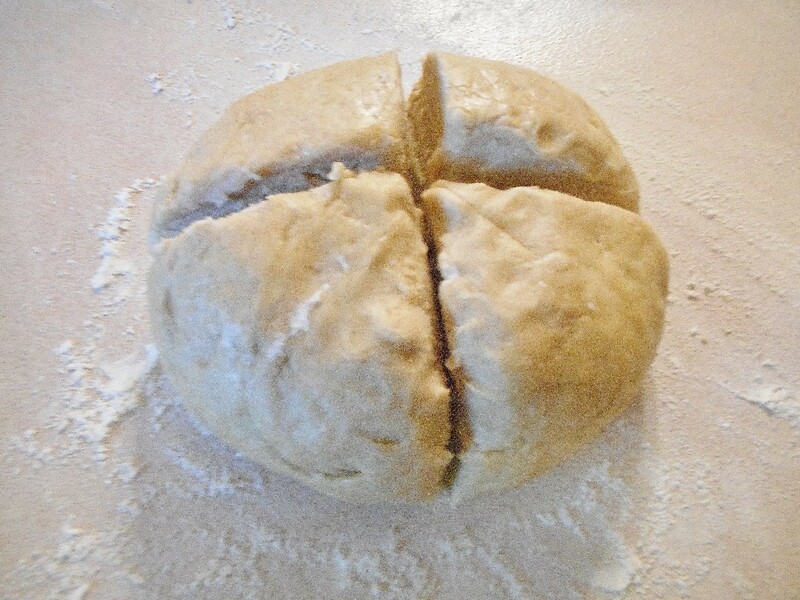 The open side should start to gather air bubbles within 30 seconds. 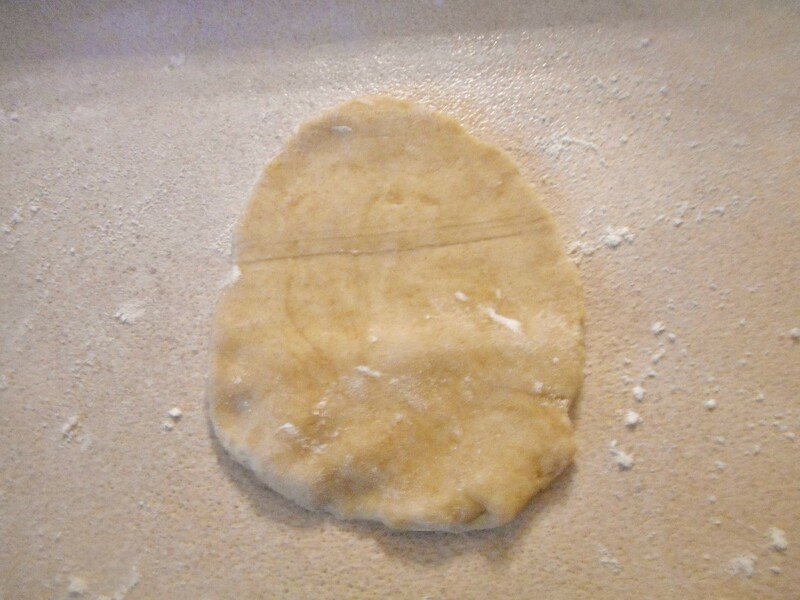 As soon as the air pockets have formed, flip the tortilla tester. 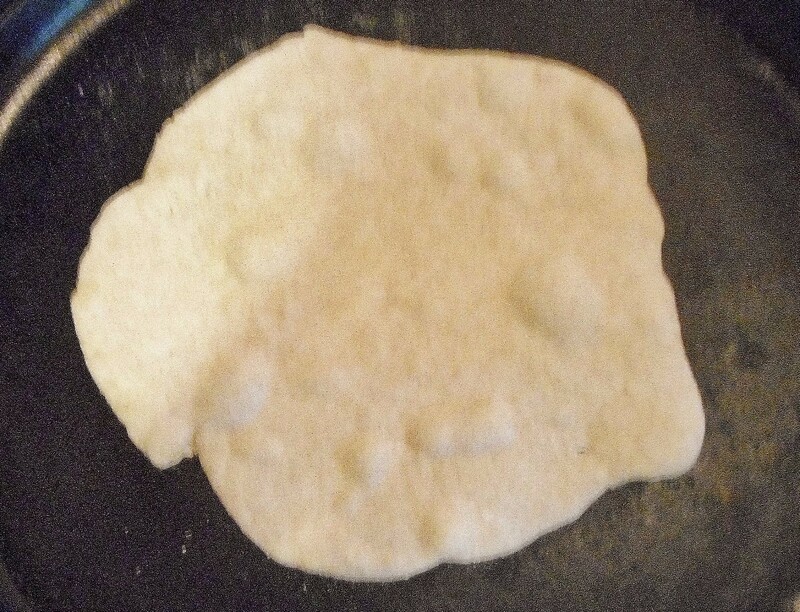 A well cooked tortilla should have brown, but not charred, spots on each side. 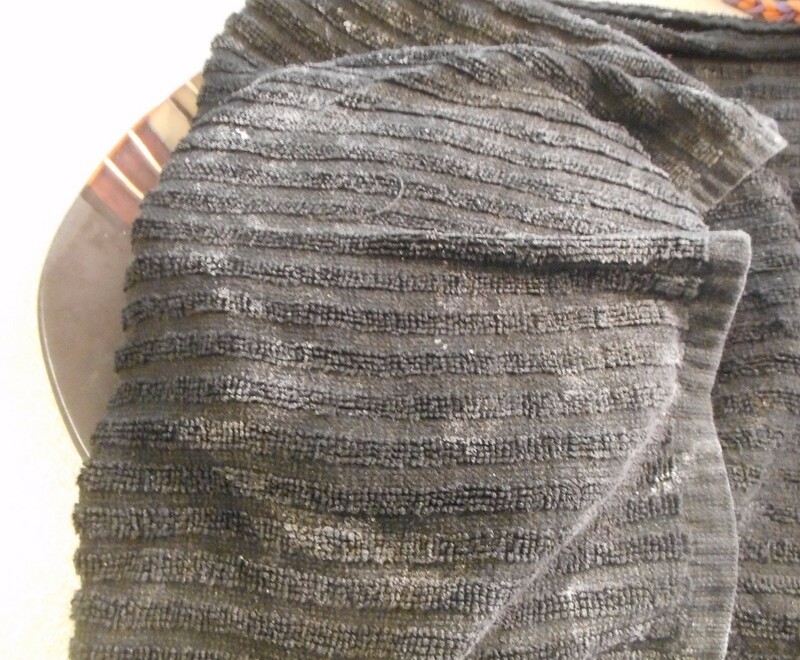 Wrap the cooked tortillas in a damp, clean towel as they cool. This prevents tortillas from becoming brittle. Once all of the tortillas are cooked, tranfer to storage bags for the remainder of their cooling. Wait to seal the bags until the tortillas are all the way cooked. Hi, I'm sure your tortilla recipe tastes great. Coconut oil becomes a solid at room temperature, so I'm sure it would give tortillas a flakiness and richness similar to the traditional way they are made--with lard! (Yikes! In that case, I'd vote for coconut. :) ) You should consider sharing your recipe with Thrifty Fun! The reason coconut oil can solidify is because it is high in saturated fat. Unfortunately, this can raise bad cholesterol levels in the blood. There are myths floating around about canola oil toxicity which also have been debunked by valid and reliable studies on it's affect on health. Canola oil is also high in heart healty fats, while low in saturated/trans fats. On a personal note, I know I've had to make changes in the way I bake for my family because my father was at risk for heart problems due to high blood pressure and cholesterol. Everyone has to make some sacrifices for health, and many people are concerned about the quality and environmental impact of non-organic versus organic foods.While my family can afford to eat fresh, a pure organic and non-GMO diet is not an option at this time. This is a difficult situation that I feel many can relate to. So, if you can eat pure, that's really awesome and I'm happy for you! Just remember not everyone can. That is a similar recipe to the one we use, but I'd argue canola oil is NOT healthy. We use organic coconut oil and folks flat out rave about our tortillas.